Fourteen years ago, four babies were implanted with the Medusa gene – a gene for psychic abilities. 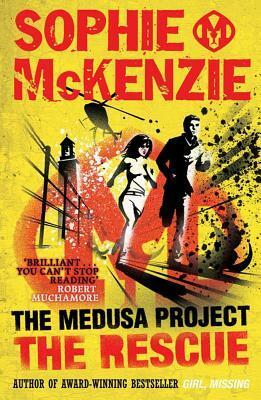 Now teenagers, Nico, Ketty, Ed and Dylan have been brought together by government agents to create a secret crime-fighting force: The Medusa Project. Since their existence became known to members of the criminal underworld, they have been hidden away in a secluded training camp in Spain, where their identities are being kept secret. Categories: Fantasy, International, Thriller | Tags: Sophie McKenzie | Permalink.